Quick Read: Value as a concept to a consumer has 2 key dimensions: perceived benefit and perceived cost (of a product). But the moment a third dimension called ‘availability’ is introduced, the equation becomes intriguing and interesting, especially when the former is limited – in reach or time. What generates value? Dial up the benefit and/or dial down the cost of your product for the consumer. Simple. Isn’t it? But that is conventional. Let’s take the concept of Limited Availability. When something becomes limited in availability, the concept of value can become a bit unconventional and even compelling – almost as intriguing and compelling as the concept of turbulence is for physicists. Don’t believe me? Let’s take 3 examples. What if the sun were to become limited edition? Difficult to imagine, right? But for the 3,300 odd people living in the small Norwegian town of Rjukan they don’t have to. Because sunlight for them is literally limited – to just 6 months in an year. The towering peaks that surround the town rise to almost 2,000 meters above sea level and block out the sunlight for 6 months, meaning Rjukan residents live in a permanent shadow from September to March. Every year. 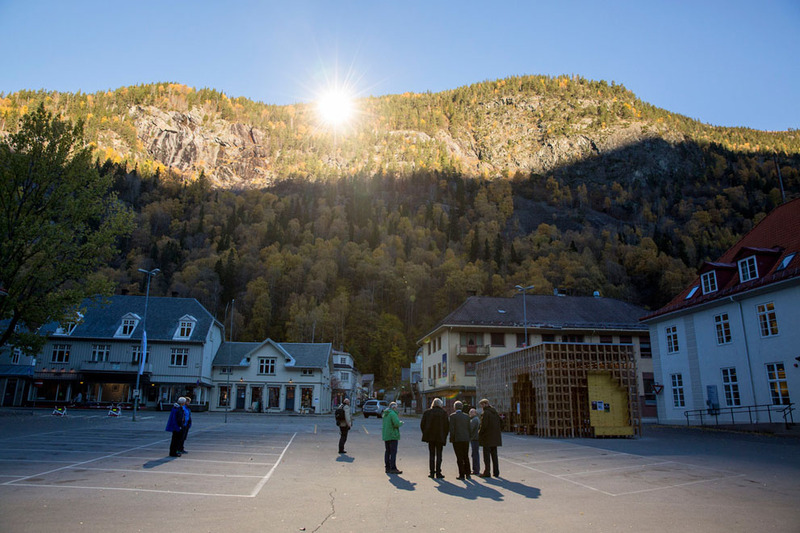 So in October 2013, the town of Rjukan created history by getting sunlight to shine on the town. And the day that happened, the town square was reportedly abuzz with cheering families, delighted children, sun loungers doning shades and drinking cocktails while waving Norwegian flags as TV cameras flocked from around the world. It was almost like a spectacle, an epochal moment for the town. At a cost of 5 million Norwegian kroner, they installed giant mirrors on a mountainside to reflect the sun into the town. Using computer controlled technology, these mirrors, called heliostats are powered to shift every 10 seconds to track the movements of the sun and reflect sunlight into the town square throughout the day. Regardless of the cost involved per capita for Rjukan, this unique solar project stands out as a sculpture, an installation that makes us think about the value that we attribute to something as fundamental as sun especially when it becomes limited. Limited in reach and time. An insanely irritating game with bad graphics = a viral hit? ..the game goes as follows: you tap the screen to propel a tiny, pixelated bird upwards. If you hit any of the green pipes on your way … the game is over. The goal is simply to accumulate the highest score possible. The catch? You’ll very likely spend an hour even reaching a score of five. The app has been downloaded 50 million times, and has accumulated over 47,000 reviews in the App Store — as many as apps like Evernote and Gmail. Mobile games studios generally spend months coding up deliberately addictive and viral titles, but Nguyen did it by spending a few nights coding when he got home from work. But for many gaming industry experts Flappy Bird is an enigma. Huffington Post described it as “insanely irritating, difficult and frustrating game which combines a super-steep difficulty curve with bad, boring graphics and jerky movement”. Despite that by early 2014 it was one of the top free games on the App Store and Google Play in the US and the UK and was touted as “the new Angry Birds.” And was reportedly earning around $50,000 a day in revenue through its in game advertising. But that’s not the most interesting part. On the 8th of Feb, when Flappy Birds was soaring past stratospheric heights in popularity and cult status, Dong Nguyen tweeted the following. With this single tweet (dutifully reported by the likes of The Wall Street Journal, Guardian, Forbes, Reuters etc. and aided by the existing popularity of his game) Dong was instantly catapulted to a status of cult guru trying to pull an act of ‘Limited Edition’ to his game. This promnise of limited availability has unleashed an instant panic in the gamers, fuelled debates among gaming experts globally and even invited suspcisions that this could just be a marketing stunt. So that’s two examples so far on how compelling the perception of value can turn out to be when driven by a promise of limited availability. The third example is my personal favorite and deserves a seperate blog post. This entry was posted in Art, Business Model, Business Strategy, Concept, Consumer Behavior, Design, Mobile, Software and tagged App Store, Benefit, Consumer Behavior, Cost, Dong Nguyen, Flappy Bird, Google Play, Heliostat, Insanity, Irrationality, Limited Availability, Limited Edition, Mobile Games, Norway, Rjukan, Rjuken, Turbulence, Value, Viral Hit. Bookmark the permalink. Did Flappy Bird get installed more after Dong Nguyen’s tweet? I bet it did. I was trying to collect evidence of that. This game has everybody scratching their heads trying to figure out how he found so much success. I like the game and I love the story behind it! If I had to make an estimated guess, I’d say it was the combination of Nostalgic lo-fi graphics (including the MarioBros. pipes), the humiliating difficulty of the functionality, the perfect sound effects, it’s simple competitive nature, and the absurdity of a awkward flapping bird. Then again, perhaps it involves some amount of luck?? Hard to say! A lot of reviews I read really rag on the functionality. I think it was really well done. It is very similar to shooting freethrows with a basketball. It takes some work to get the first one, but then you get better at it. The play cycles are fast enough that you don’t mind losing early on because you just tap a couple buttons and you’re right into your next round. Anyway, just my opinion and I seem to be in the minority. It does bother me a little when game makers rag on somebody who found success. The game is successful for any combination of the reasons you mentioned, and it should be respected for that, not derided. “The third example is my personal favorite and deserves a seperate blog post. NO! PANIC! MUST READ PART 2 – LIMITED EDITION! The new information environment around us allows consumers to predict much more accurately the experienced quality (or absolute value) of products and services they consider getting. “….they consider getting.” You said, right? In other words it is about the value that they ‘perceive’ to be getting. And that’s when things get interesting – ie when ‘perception’ gets into the picture. For eg,. the value that you perceive in something could be completely different from the value that someone else perceives to be getting from it – despite being exposed to the same information. And this difference of opinion is even more apparent when the perceived value is attributed to something being ‘limited in availability’. That’s when value becomes extremely subjective and selective. I loved this story. Prasanth Reddy is a good friend of mine at work and he introduced me to your blog. Thanks and keep the greatest hits coming. What an interesting concept. I love how you tied the idea of value to Flappy Bird. I didn’t have the chance to download and play the game, but I have friends who did. They all agree that it can get addictive! As a journalism and business student, I decided to take a Substance Abuse Prevention Program (SAPP) class outside of my comfort zone. We talked about addictive behaviors last week and one of our examples was Flappy Bird. From my understanding, the creator took it down because users were getting addicted too quickly. The game was meant for fun, not to be addicting. Crazy how demand skyrocketed once it was taken down.